The Second Cultural and Creative Contest and Art Tail Tour children's painting contest successfully convened. Focusing on the South China Historic Trail, press conference for the Second Cultural and Creative Contest and Art Tail Tour children's painting contest successfully convened. Provincial Government Deputy Secretary General Zhaokun made a brilliant speech. Provincial Government Deputy Secretary General Zhaokun, Representatives of Provincial Departments or Bureaus of Housing and Urban Rural Development, Culture, Sports as well as Tourism Bureau attended the Conference. Since its inception, the two contests have led youngsters into the South China Historic Trail, and have discovered and activated the local excellent traditional culture, which is in harmony with the theme of " Heritage for Generations" in the April 18 " International Day for Monuments and Sites", which is a specific measure to promote the preservation and inheritance of cultural heritage. 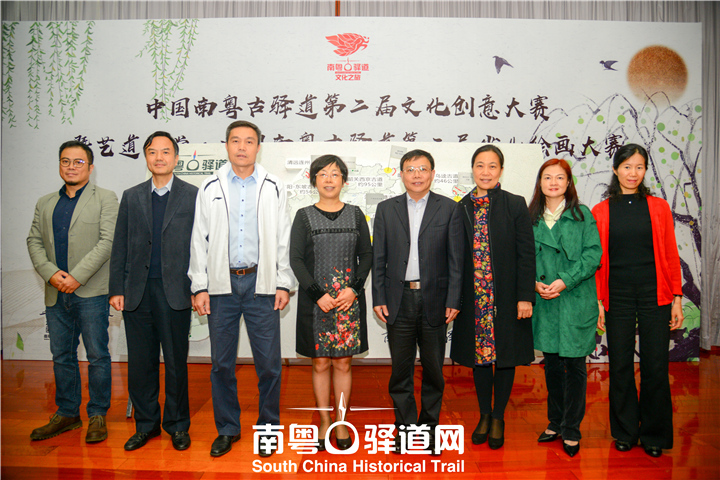 The reporter learned that in 2018, the provincial government will place high effort to conserve and develop the province's 11 key lines of South China Historic Trail and promote the cultural tour on the trail so as to trigger conservation and restoration of the trails. Works on the 11 key lines of repair to maintain the historic trail ontology and postal points and other important symbols of the authenticity of the first principle. Utilizing or construction of connecting wiring through the historic trails, it is expected that this year's National day would be the launching date of first sections of such history trails. The precious remains, intangible cultural heritage and natural resources along the over 700-kilometer-long key lines will become the main source of the two major contests. 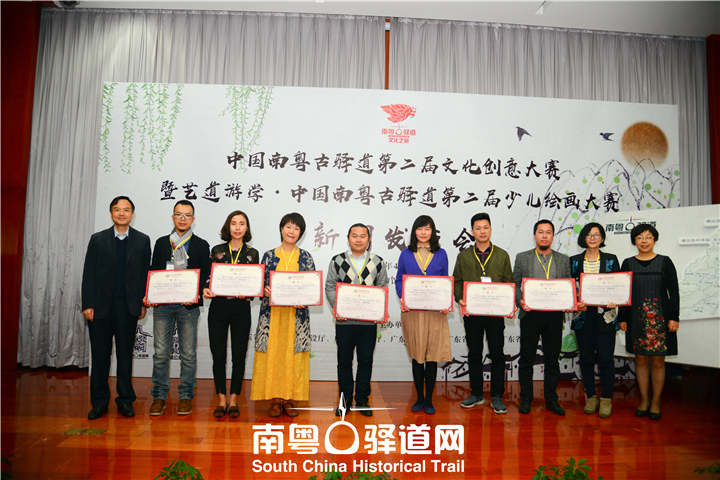 Participants will visit the South China Historic Trail and the surrounding areas, a deep sense of historic trail cultural charm, pay attention to historic trail along the characteristics of humanities, natural resources. 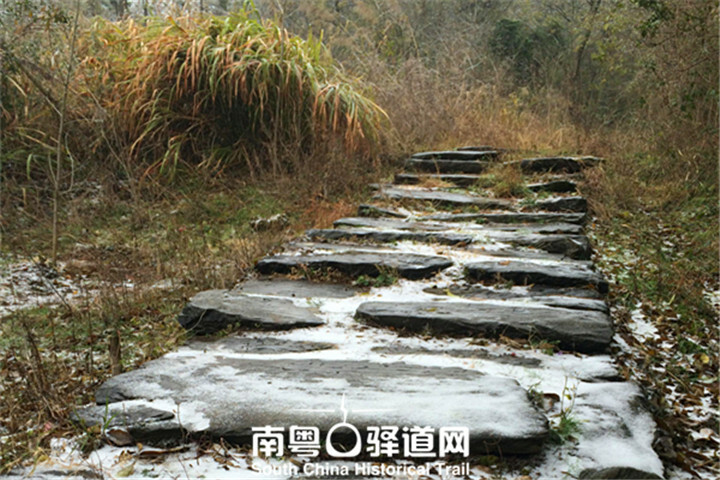 In these 11 key lines along with a wealth of historical and historic resources, intangible cultural heritage and natural resources, such as Lianzhou Tan Ling Tian Hu, Huangchuan Three Gorges, East Mountain hot spring waterfall and "Buddha Festival", Shaoguan Ruyuan Grand Canyon, Lechang Terrace and Zen culture, Huizhou Huidong Red culture, Chaoshan folk culture, etc. will provide a steady stream of creative inspiration for the two major events. 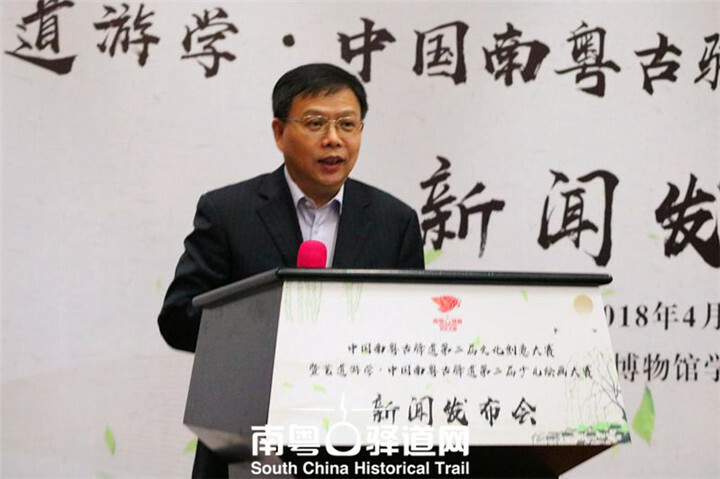 From April to December this year, Chinese South China Historic Trail's second cultural and creative contest will be held in Zhanjiang Xuwen, Qingyuan Lianzhou, Zhongshan, Huizhou Huidong, Meizhou Pingyuan and Zhaoqing Yan Chau Island altogether 6 stations. 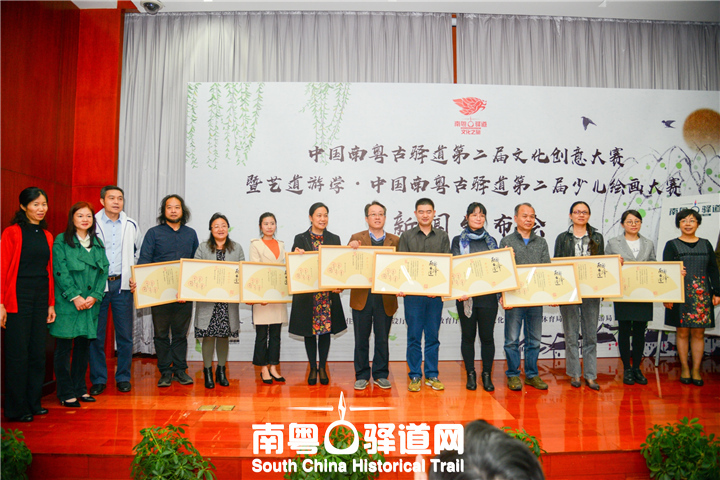 The second children's painting contest named Arts Trails Tour will also be set in 11 key line, leading the children to explore, walk the South China Historic Trail. The Second Cultural and Creative Contest. The Second Art Tail Tour children's painting contest . The previous award-winning works have applied for the registration of copyrights to protect the IP of the contestants of the South China Historic Trail Cultural Creativity Contests and Art Trail Tour • children's painting contest. In 2017, the two contests led to 21 colleges and universities teachers and students of creative enthusiasm, included 450 youth team design, of which 60 annual awards have been to the national Copyright Administration to apply for registration of copyright, the contestants have been in the scene to obtain their own work registration certificate. Last year's painting contest attracted nearly 20,000 families active participation, collected nearly 40,000 children's painting works, accumulated 810,000 times Baidu keyword search volume, attracted a daily average of nearly 700 visitors to visit, the effect is remarkable, has promoted the communities’ interests to historic trails and cultural self-confidence. I n 1983, United Nations Educational, Scientific and Cultural Organization decided to make the date April 18th as “International Day for Monuments and Sites” on their 22nd conference. Since 2001, International Council on Monuments and Sites (ICOMOS) has organized some events each year till now, whose theme is “Heritage for Generations” this year.